Naples Real Estate Blog - Real Estate News from Naples to Estero, Florida. : Fort Myers Beach - Beach House - Sold! 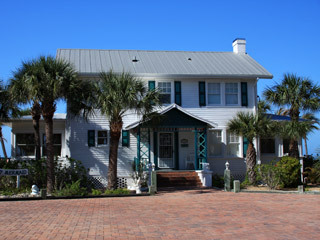 Fort Myers Beach - Beach House - Sold! Unique beachfront estate property on Fort Myers Beach with 150 ft of Gulf frontage. The property includes a beach cottage with full kitchen and one-bedroom and a 3-car detached garage. This two-story Olde-Florida style home, has been built in 1926 in Alva, Florida probably at the same place where Edison and For Estates homes have been built. Built in solid yellow pine and always perfectly maintained. Listed for $2,475,000, this unique home sold for $2,300,000. Another listing sold by the Dominick Tascher Team! If you are looking to buy or sell a beach front property in Naples, Bonita Springs or Fort Myers Beach, please call Dominick Tascher at 239-839-5688.